Food grade potassium citrate, food grade potassium citrate | Jiangsu Kolod Food Ingredients Co.,Ltd. White crystal powder, color crystal or granule, easy to dissolve in water. Widely used in food, medicine, chemical industry, construction, energy and other industries. The production level of its products can be divided into food grade and industrial grade. Citric acid is extremely hygroscopic moisture under the normal temperature, strong corrosive. This paper focuses on the special requirements and design features of product drying and air purification in the production of food grade citric acid. Drying system with dry process system deal with the air will go directly to the process system, and is in direct contact with the product and product design stage, the system not only to ensure that the indicators required for the process. The equipment structure and material selection should be specially considered. 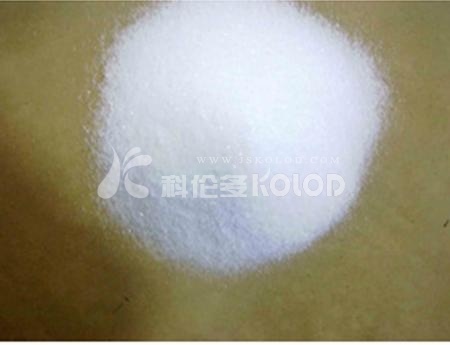 White or yellowish color | crystals or crystalline powder, odorless, salty, cold, slight deliquescence, easily soluble in water or glycerine, almost insoluble in ethanol. The relative density of 1.98. at 230 DEG C melting and heating decomposition. Use: used as buffer in the food industry, chelating agent, stabilizer, antioxidant, emulsifying agent and flavoring agent. Can be used for milk and milk products, jellies, jam, meat, tinned pastry, also used in cheese emulsion, citrus preservation etc.. In the pharmaceutical industry as a disease of low blood potassium and potassium deficiency and alkalization of urine. Packing: 25 kg net weight of paper or paper plastic compound bag, or according to request. Use limit: GB 2760 a 96: all kinds of food, GMP. GB 2760–2002 (mg/100g, as a source of potassium enriched with): infant formula powder is less than 1000; larger infant formula powder 400 ~ 1500; 2001000 infants supplement cereal flour (based on K). FAO/WHO (1984, g/kg): evaporated milk, sweetened condensed milk and cream in 2, and 3 with other stabilizers (in an anhydrous, the same below); milk powder, dehydrated butter 5; processed cheese 40; keep jam and jelly orange Ph value from 2.8 to 3.5, margarine, baby food, cold drink edible casein, acid salt, GMP. Storage and transport: it should be stored in dry and ventilated warehouse; to avoid being damaged during transport, light qingzhuang should be handling, packaging to prevent breakage; with toxic substances stored separately. PREV： All manufacturers to produce food additives are safe?